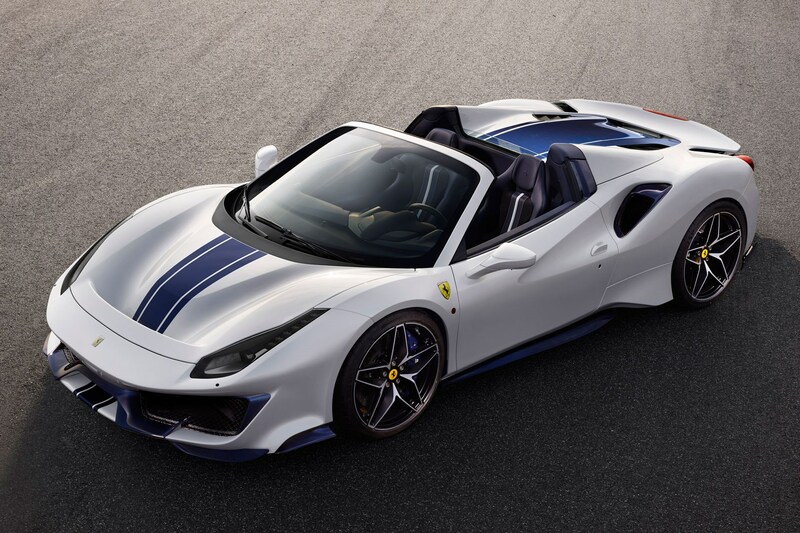 Ferrari’s latest convertible has arrived: the 488 Pista Spider. The new open-air thrill machine was revealed at the 2018 Concours d’Elegance at Pebble Beach. 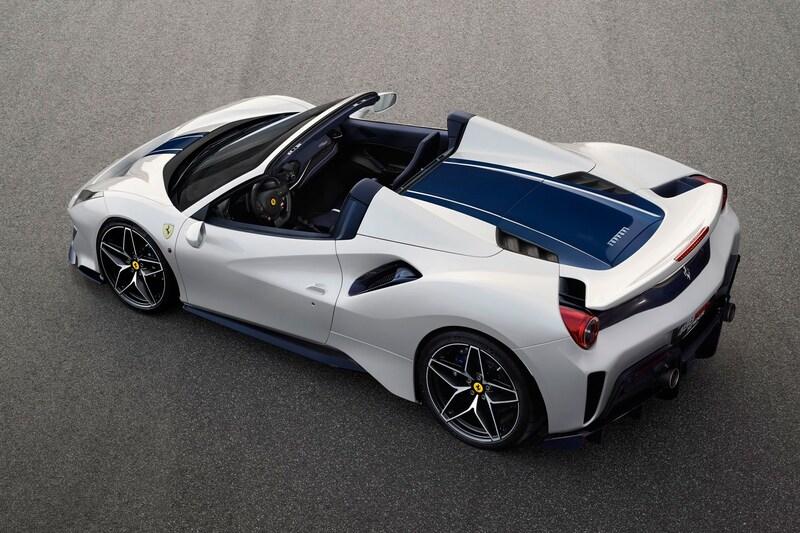 Maranello says its North American customers have a real love for drop-tops, hence the reasoning behind its fancy Californian debut. The most powerful V8 the brand has ever produced sits mid-mounted, complete with two turbos, 710bhp and 568lb ft ready to exploit. 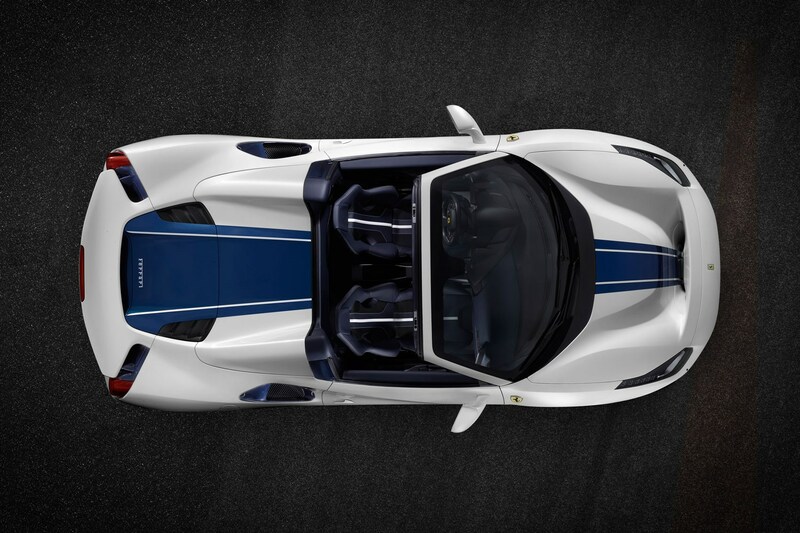 That’s good for a 0-62mph sprint in 2.85sec – the same claimed time as the coupe – and a top speed of 211mph. The Pista Spider has bespoke 20-inch forged alloys ‘with a novel 10-spoke star effect interpretation of Ferrari’s traditional mid-rear engine Berlinetta-style rims.’ Carbonfibre wheels are available as an option and are 20% lighter than the forged alloys. Inside, there’s plenty of lightweight race-spec materials like Alcantara and carbonfibre, while the carpets have been replaced by aluminium tread plates and the door pulls are just straps. 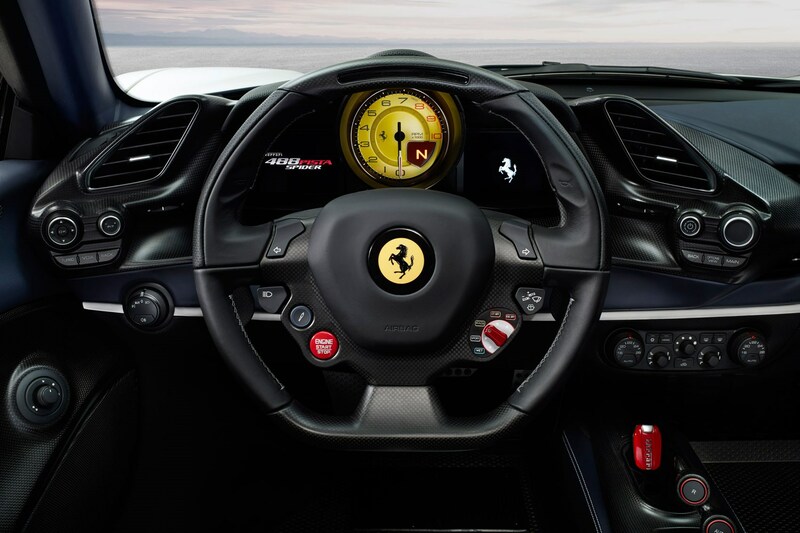 Otherwise it’s standard Pista fare: the near-telepathic Ferrari Dynamic Enhancer allows for huge slides when the car thinks you’re actively seeking them, while gently curbing them if it detects a panicky steering correction. 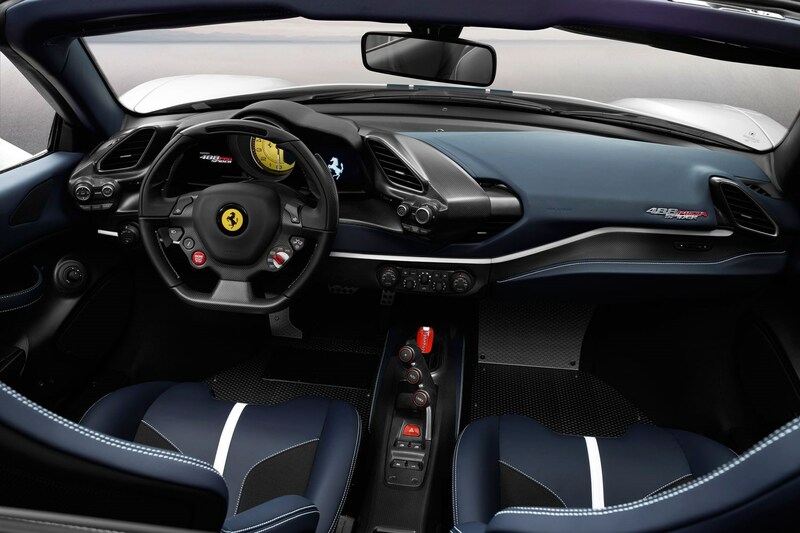 No price is given, but that complicated roof mechanism will mean a higher price tag than that of the £260,000 488 Pista coupe.